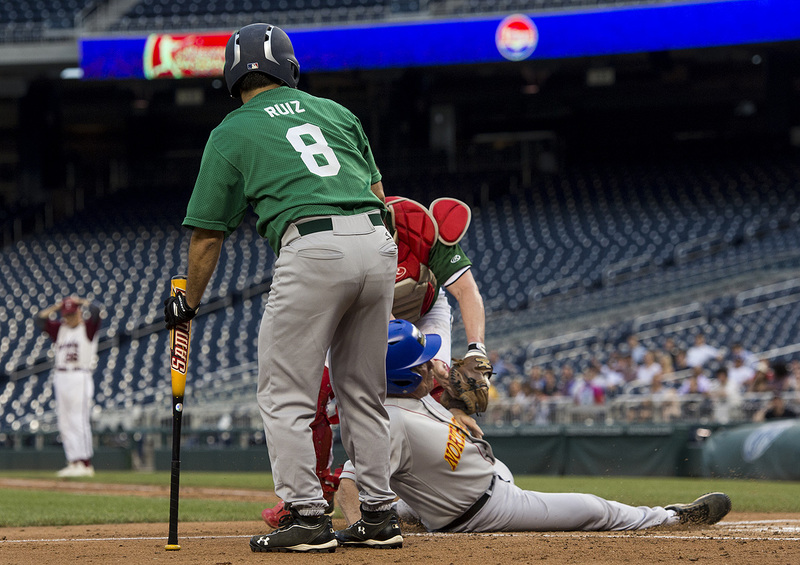 The Roll Call Congressional Baseball Game can be a real challenge for a political photographer like me. Although I used to be a really good sports photographer — having covered every level of competition from tee ball to the Olympics in my days working for daily newspapers — one gets a bit rusty shooting slow-moving lawmakers around the Capitol full time. Hopefully you&apos;ve already seen our gallery of the best photos from the game . It looks easy, doesn’t it? Let’s take a look at the ones that got away. Baseball is a difficult sport to shoot. You know going in that there are going to be four or five photo-worthy plays (if you are lucky) during the game. And you know for most of those you will be on the wrong side of the field, have the wrong lens ready or someone will block your view (*ahem* Rep. Raul Ruiz!). Add the boredom factor, (admit it, baseball is pretty boring unless you are playing or having a beer in the stands with friends) and the need to fight off the temptation to check email and Twitter when it sets in. Forget trying to Instagram during the game. 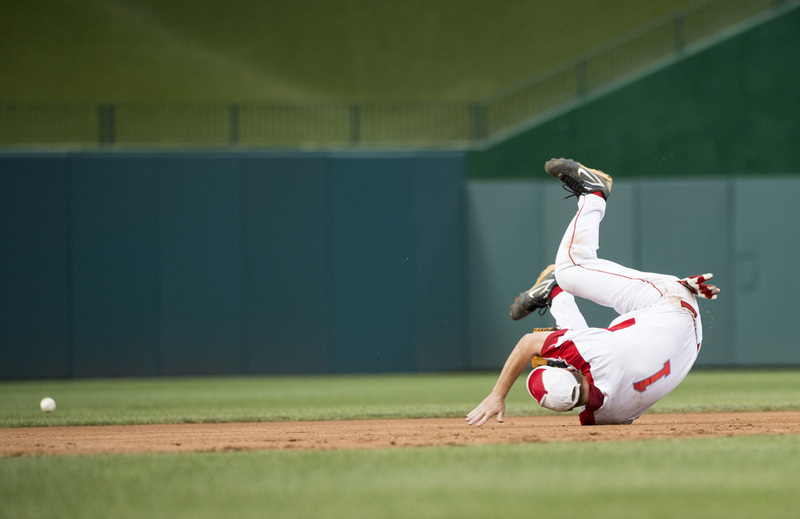 Inevitably, my attention is diverted on a key play, and I miss the peak moment — this time of Rep. Steve Scalise diving for a ground ball at shortstop. Autofocus is my friend. Back in the day, I could shoot sports with a 600mm manual focus telephoto lens and get pretty good results. These days, I need help in the form of fast autofocusing lenses and cameras to save me, even with those slow-moving lawmakers lumbering around the bases. My lens of choice for the baseball game is Nikon’s 200-400mm f4 zoom lens. But even the best technology takes some skill and practice. For example, Rep. Cedric L. Richmond dove for a ball hit past the pitchers mound, and I got a photo of the outfield wall in perfect focus. I can’t think of a single game I have ever shot when I didn’t miss a big play. I had plenty of those last night. But we are professionals, and we always come back with compelling photos of the game. Now that you have seen the bloopers, go take a look at the big ones we hauled into the boat .